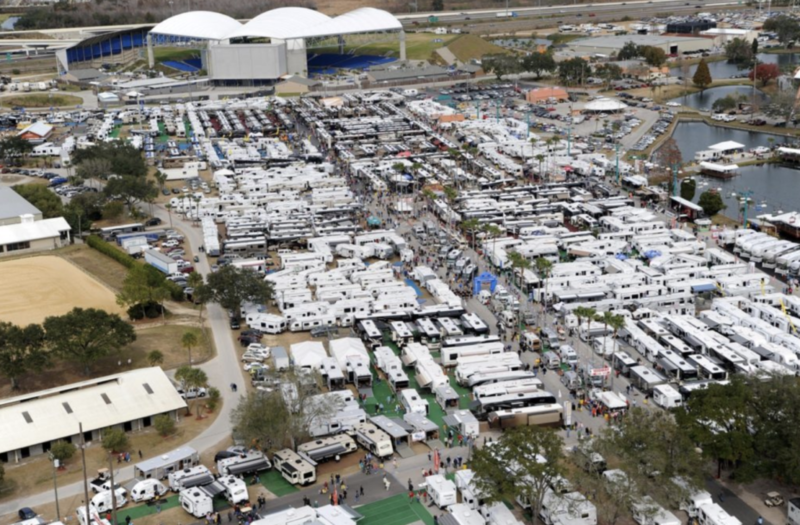 The Tampa Florida RV SuperShow celebrates 34 years of being one of the best RV shows in the country. Last year, over 73,000 attended. 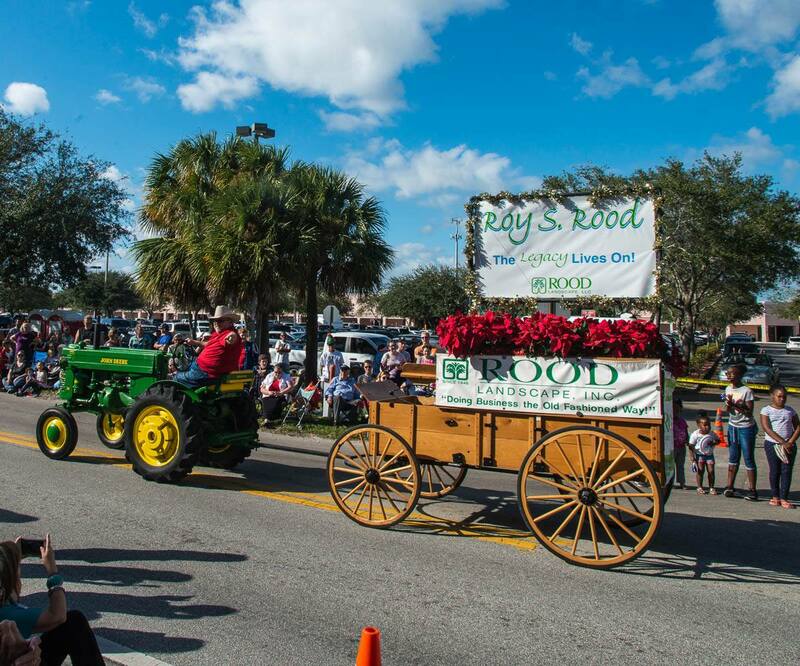 The show runs for 6 days beginning on January 15, 2019, at the Florida State Fairground in Tampa. While the first day of the show is reserved for RV businesses and companies only, the public can enjoy everything the show offers for five full days beginning on January 16. Brought to you by the Florida RV Trade Association, this show attracts more than 450 vendors in the RV trade. Visitors can stroll through two huge exhibit halls full of parts and accessories and towing supplies or pick up tons of literature and information about campgrounds, RV resorts, and tourism to plan your on-the-road adventures in the coming months or years. 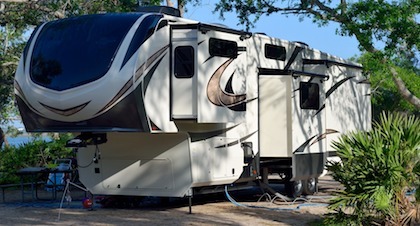 Whether you are just dreaming about a spanking new RV, or are in the market for an upgrade to the latest in RV manufacturing and accessories, there will be everything from small travel trailers to bus conversion luxury motorhomes. Can’t made the Tampa SuperShow? 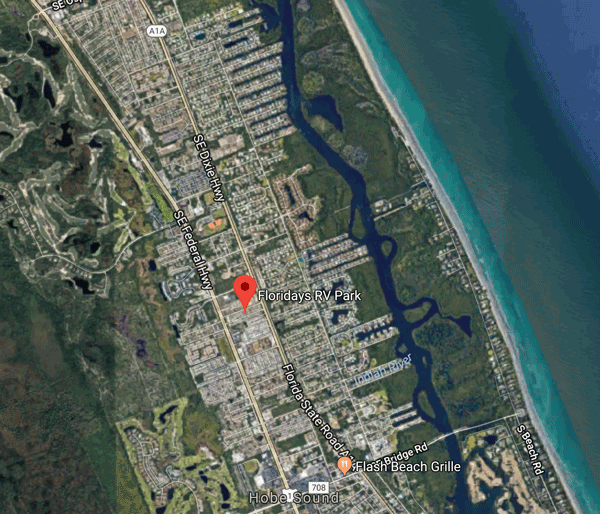 Here’s the 2019 schedule of RV shows in Florida.